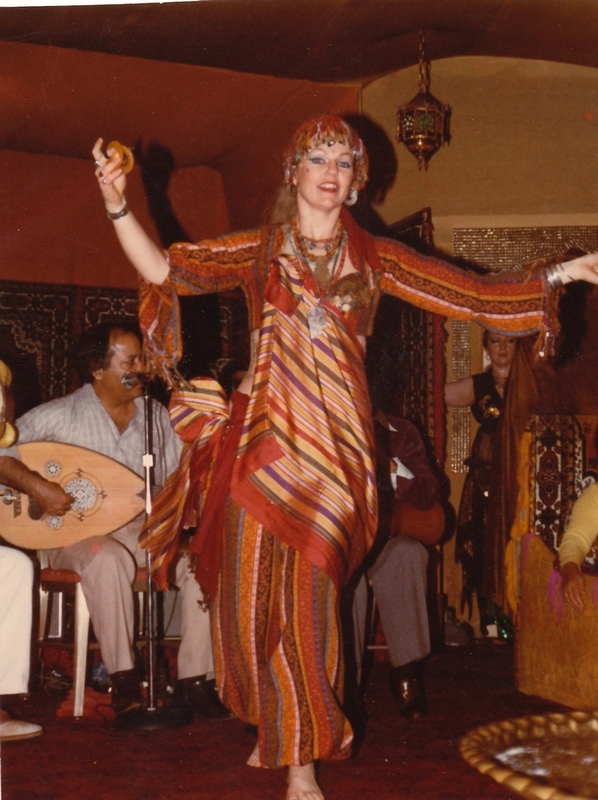 Ghanima Gaditana, M.A., has performed and taught Oriental Dance professionally since the 1970s. Formerly a student of Jamila Salimpour and Aida Al-Adawi and choreographing member of Bal Anat, she is a specialist in ethnic/folkloric styles. She has made several trips overseas for purposes of dance and costume research, visiting Tunisia, Morocco, Jugoslavia, Bulgaria, Greece, and Turkey. In addition, for ten years she organized study tours to Turkey, focusing on the Great Goddess. Ghanima currently teaches in Santa Clara, performs at restaurants and nightclubs throughout the south San Francisco Bay Area, and is available for performances, classes, workshops, and conferences. She has also studied classical and folkloric styles of instrumental and vocal music, ballet, modern, tap, hula, folkdance, and Movement Analysis (Labanotation).